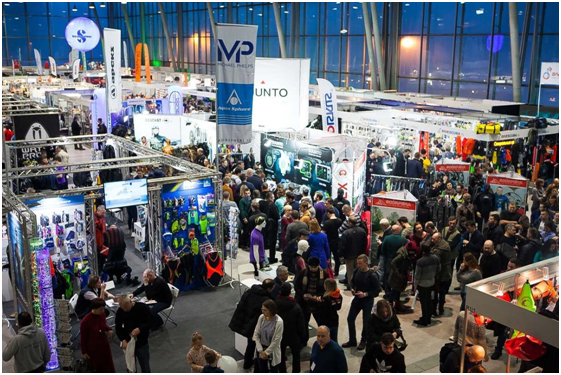 At the beginning of February, the largest in Russia and Eastern Europe Water Man Exhibition - Moscow Dive Show will be held in Sokolniki Exhibition Center. A whole variety of underwater and surface hobbies of the inhabitants of our planet will be displayed in three pavilions. 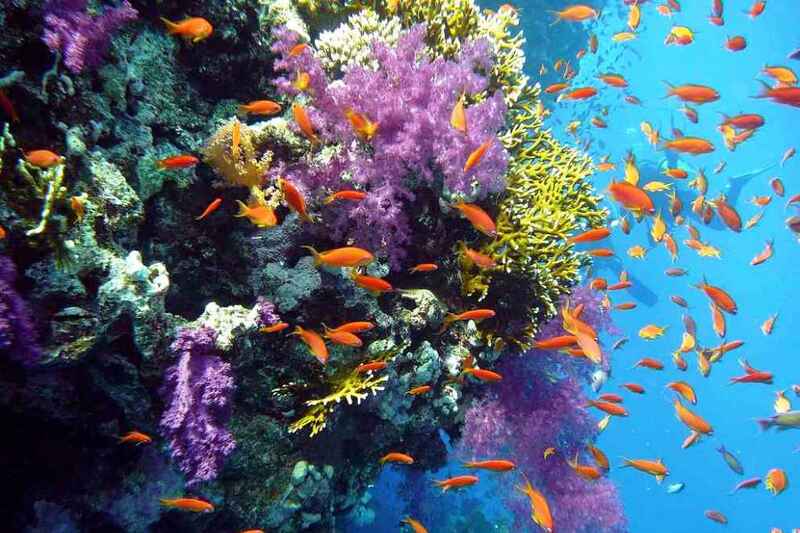 Underwater activities, such as diving, underwater hunting and free-diving are the basis of the exhibition. 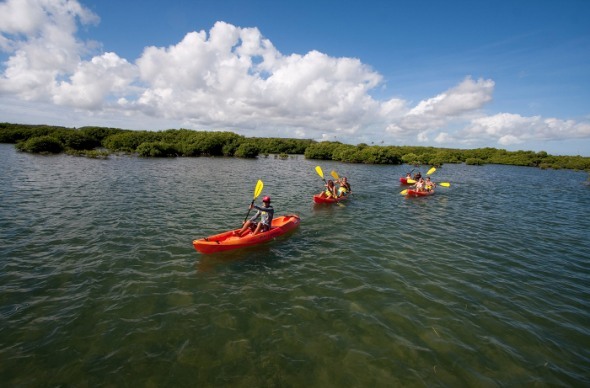 But each and every year the number of fraternal surface activities is growing: yachting, surfing, kiting, boating and other activities connected with water, wind and streams. 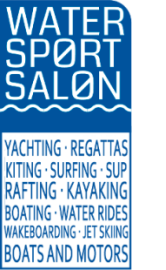 In 2019, we unite them into a separate project WATER SPORT SALONwith a separate advertising campaign and cultural program for the exhibition. Also, emphasizing the importance of format expanding, we have changed the main slogan – the Water Man Exhibition instead of the Main Underwater Man Exhibition. Now all the water and underwater hobbies have equal status. 1. We have really powerful traffic of visitors and no "grannies” collecting booklets. Serious citizens who spend time and money on serious hobbies. Do not believe? Just watch hundreds of videos and reports about Moscow Dive Show on YouTube. 2. The exhibition is just a convenient place where the industry meets the consumers of its goods and services. In the age of continuous online and Facebook promotion, powerful off-line events gain double value. Think of the exhibition as a mobile office with an endless schedule of meetings and negotiations. Calculate and you'll get not a very high contact price. 3. Leasing square meters in hangars is an exhibition of the past century. A modern exhibition is a full-fledged media with a daily stream of up-to-date information preparing its visitors for the most efficient walk through the exhibition halls. Feel the full power of our PR service and enjoy the audience coverage in social networks. 4. Every year we increase the number of participants and visitors (for detailed information about the results of Moscow Dive Show 2018, click here). And this is in conditions of the ongoing consumption crisis in the country. 5. We really spend a lot of money on promotion and it is noticed by the participants. The main marker is 20% of the visitors come to the exhibition to choose a hobby. This is that very "new blood" which is always required by the industry. 6. In the neighboring countries (Belarus, the Baltic States, Ukraine, Kazakhstan and Azerbaijan), there are no exhibitions of this scale (or no exhibitions at all). All the representatives of the water industry of these countries come to form their business ideas for the season at our Moscow Dive Show. 7. We keep low rental prices for the stands and do not charge any additional or hidden payments such as "entrance fee”. Both wholesale participants and those who came to earn the certain money in the visitor wallets will feel the effect. 8. Expansion of the format of the presented activities benefits for all the participants. Some of the visitors will purposefully come to the stands that interest them, and they will check other stands while visiting the exhibition. 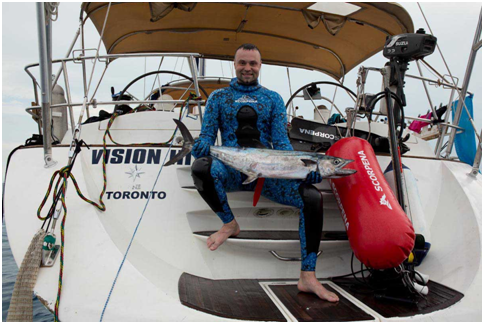 The conversion between the adherents of different water and underwater hobbies provides additional client base growth. 9. 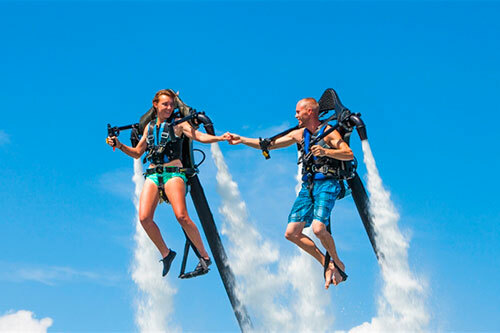 Moscow Dive Show includes not only B2B and retail trade offering goods and services, but also a rich cultural program that shows the visitors all the beauty and power of our hobbies. We will construct a stage with a large diode-screen and an auditorium for 400 people, film shows, presentations and master classes will take place every hour. A more intimate atmosphere will be created in two conference halls, which will be available during the time of the exhibition. 10.The team of the exhibition organizers knows firsthand what the water world is. 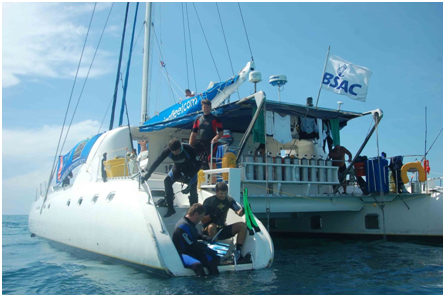 We dive, sail, and tirelessly surf the seas and oceans. We also publish two magazines: the Ultimate Depth and the World of Underwater Hunting. Perhaps this is the secret of our success – yocannot control the process if you observe it only through a computer monitor. We are devotees and we love what we do. Not treading water, trying new things, expanding the horizons – at Moscow Dive Show, the adherents of all the aquatic and underwater denominations will be able to see the rich palette of activities united in the word "WATER" and to find something new and unexplored. 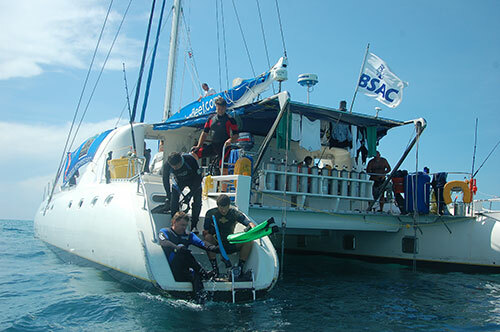 Divers – become yachtsmen, kayakers – try free-diving, kiters – chase not only parachutes, but fish! At the exhibition you can learn firsthand how to become an independent traveler. 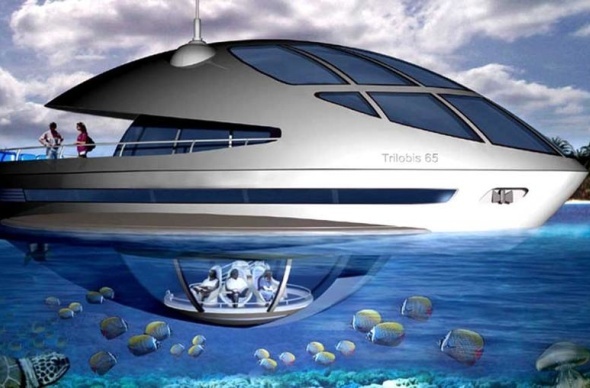 Not just skillfully reserving space on yachts, but single-handing these very yachts. How to become a captain, where to pass the exams and where to go diving on a rented yacht or catamaran? 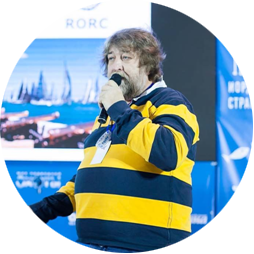 All answers will be found in the Water People zone of Moscow Dive Show.There is nothing better and more fascinating for obtaining the skills of real yachting, as participation in regattas, which are annually held in the seas and oceans of the planet. Many of them are organized by Russian coordinators. 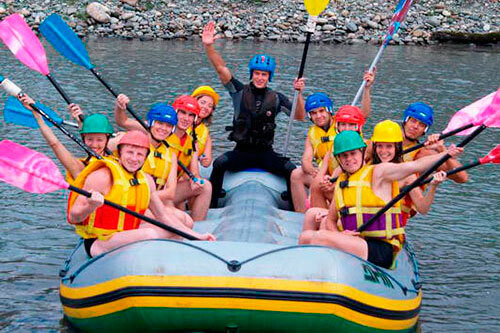 You can also come up with your own personal regatta for your company team-building. The main regatta coordinators will present their plans and ideas at Moscow Dive Show. Having come to the surface after another dive and comfortably seated in a chaise longue on the beach, it is nice to see surfers and kiters rushing on the waves. It's even nicer to try it yourself, but there is not enough time to learn while you are on holidays. 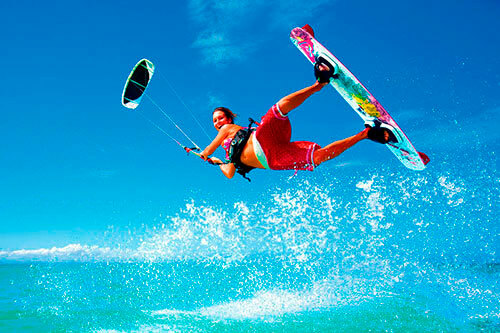 At Moscow Dive Show, the coolest instructors and the sellers of the equipment for waves racing will gather. So, it's a great chance to figure out how and where to learn the mastery of conquering waves and wind in your native territory. Floating landing stage. Mobile parking. 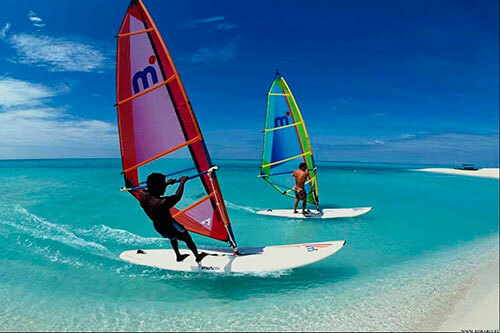 Kite surfing. Training and equipment. Kayaks and rafts. Training and equipment. Water activities. 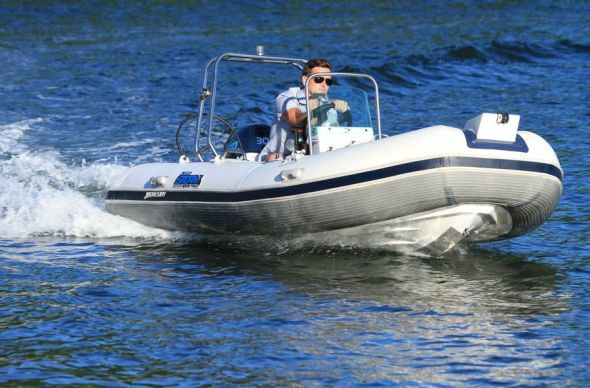 Everything for fun on the water. Unusual water-crafts. New on WSS! Yachting. Unique expeditions and regattas. Yachting. Yacht charter, skipper services. "Four days of circulation of people interested in their hobbies. New contacts, meeting friends. Plenty of interesting hobbies at one place, probably, they would be not noticed in other places by people and would not be searched with the Internet. It was a great opportunity to try something new in front of an extraordinary whoop-de-doo." 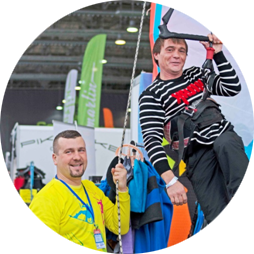 At Moscow Dive Show 2018, the development of the sector dedicated to water sports and, of course, sailing continued. 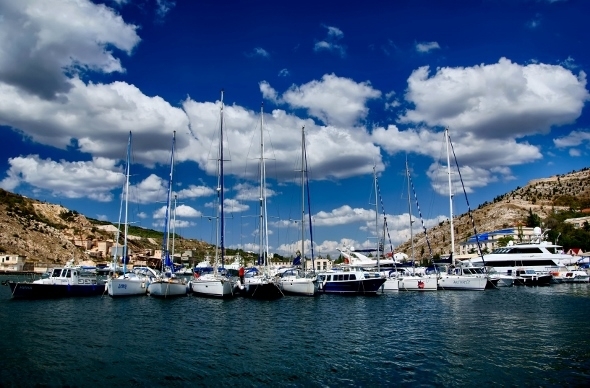 The number of the stands of yacht schools and of the yachting industry has increased. Despite the weather and snowfall, the exhibition was a success. Hope that the annual participation of yacht companies in Moscow Dive Show will become our tradition. 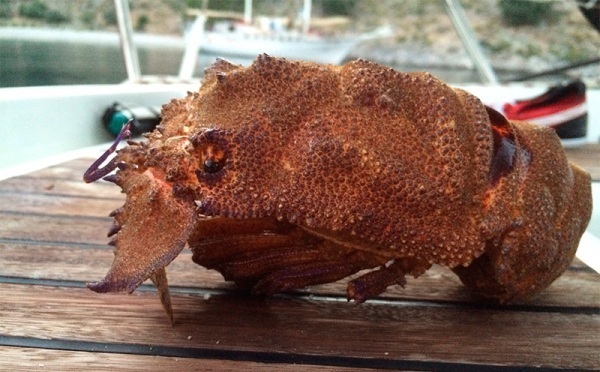 People engaged in underwater hunting, usually, simply love the sea or cannot live without it. That's why I've decided to add even more sea to my life and took yacht skipper’s training courses, thus having the opportunity to spend in the sea much more time than before. Anyone who has never yachting in the sea can hardly understand all the charm of this kind of holiday. You can always find excuses: "it's too expensive”, "you need experience”, "I have seasickness”, "it's not family holiday”, "I like comfort”... The list is endless. But ask those who have sailed, met the sunrises and saw the sunsets in the sea, fell asleep in one city, and woke up in another, what did they feel? For me, yachting is a salty spray, the sun, the feeling of freedom and delight, which is beyond words. Underwater hunters are usually romantics, and sea romance is when you can feel like a real sea wolf with a pilot book, a walkie-talkie, fenders, mooring ropes, change of tacks, sails setting, reefing and other attributes of a pirate and traveler. But the most important attraction of yachting, in my opinion, is that you can get in such places where neither civilization nor crowds of other tourists have been. Quiet little coves with clear water, uninhabited islands, where no man has gone before, villages with locals who have never seen tourists, and all this is available. Not to mention the overnight stays under a huge dome of stars, the splashing of the sea and the ancient fortresses of the rulers of the empires gone forever. All this is for you. 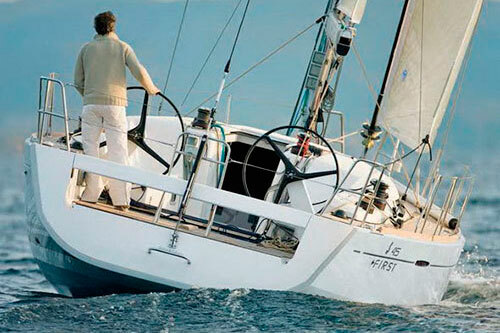 When choosing a yachting school, I have chosen a Turkish one, because it is the most suitable region for yacht training. Long season, developed infrastructure, stable winds, plenty of natural shelters, convenient flights and no visa required. 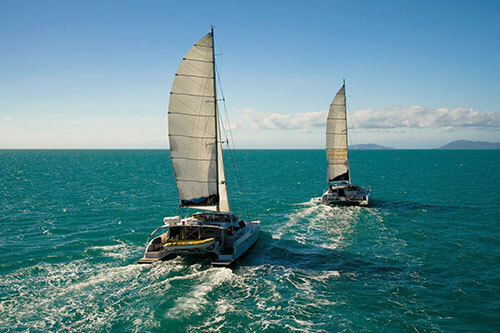 All these advantages are ideal for training and first charter. In particular, the choice was between training in Marmaris and Fethiye. There are several reputable instructors on their yachts who speak Russian in both these regions. 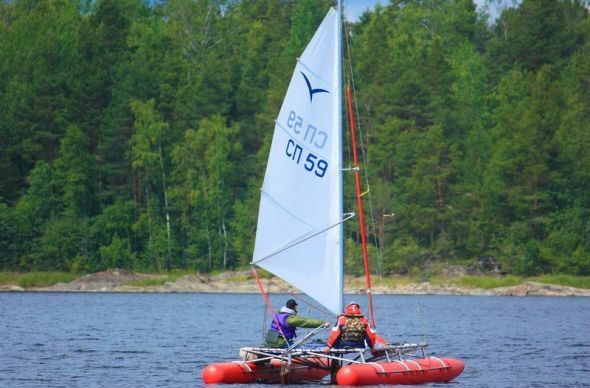 Finally, I have chosen the Sailing Time school, which is located in Marmaris, where GlebSemerenko conducts the training. 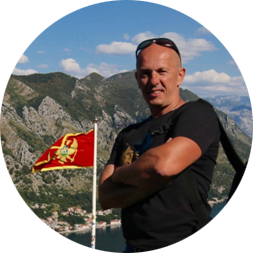 As it turned out, the choice was correct 100%.Gleb is a yachting professional to the very roots of his being, he gives real knowledge and shares his vast experience. Besides, among other things, he is a person with whom it is pleasant to talk. The cost of a 2-week course, including accommodation on the yacht, was 1,400 euros. After successfully passing the exam, you will receive a Bareboat Skipper IYT Certificate, which is a yachting license, that allows you to rent a yacht anywhere in the world. 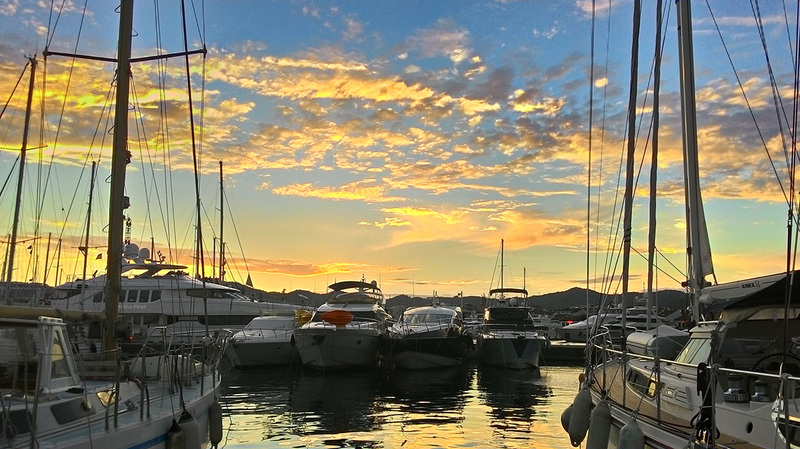 Now a few words about yacht booking. The practice of yacht charter is developed everywhere in many countries of the world, and the flagship here is the vast Mediterranean region, in particular, countries such as Croatia, Greece and, of course, Turkey, where I have repeatedly met sailors from the United States and New Zealand. 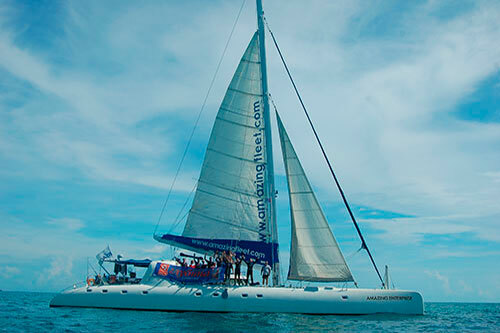 The weekly charter cost depends on the season and the class of the yacht, for example, we booked a yacht where 5 people accommodated comfortably for 1,300 euros in June, and in September it would have cost about 1,500 euros. 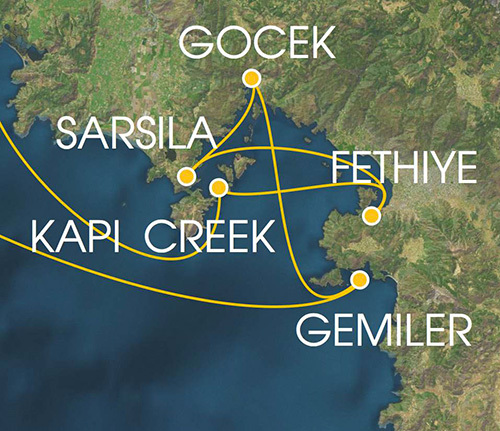 When planning a route, it is important to take into account seasonal factors, for example, in the Mediterranean region, the season starts in April and ends in November, but the best time is from September to early October, when there is no heat, the sea is warm and, generally, there is a comfortable wind. When booking a yacht, you must take into account the authority of the company you are dealing with, otherwise you may face unpleasant surprises when you are asked to pay extra fee for something or, even worse, when you take the yacht, it turns out that there are various damages and they will result in considerable amount of money. Therefore, it is worthwhile to collect as much useful information as possible about the charter companies in the region of your interest, their number and what kind of yachts they provide. If the region is underdeveloped, the chances to get for the charter an unsuitable for operation yacht are high. The issue of the place for a yacht charter abroad shall be studied at least 2-3 months before you are going to make such a trip.